tells Max it is where the aliens captured in the crash were held. It is unclear if Eagle Rock is the same base where Hal Carver from 'Summer of '47' was based, but I am guessing it is. It is possible there is more than one military base within the area, but it seems unlikely. In the UFO Center there is a little info about the base. 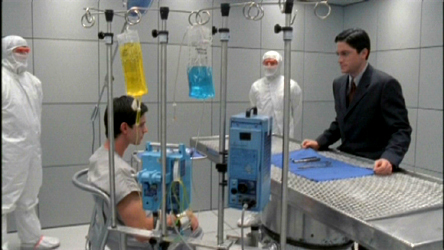 It is called a Medical Research Facility and is in Chavez County, NM, the same county as Roswell. It also mentions that Eagle Rock is visible to the west from the Roswell Army Air Field, so I am thinking that Eagle Rock was on or near the base, but seperate because it was top secret. It also says in the UFO Center that alien ship debris and bodies were taken to hangar 84. 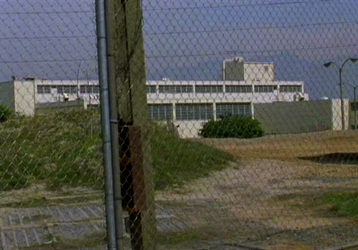 (in 'Summer of '47' the ship was taken to hangar 20. Maybe Milton got bad info). So your guess is as good as mine, Eagle Rock might be the same base or a different one. 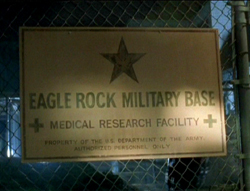 Anyway, I am putting all of the info we know about Eagle Rock here and the info about the military base from 'Summer of '47' here - Roswell Army Air Base. We only see one building, but there could be others. For the most part it seems to be abandoned. The one building we do see appears pretty big although we only see a few rooms inside. We know from signs inside that it had different departments for testing, Radiology, a Blood Lab, Morgue and Pathology, and it may have others. 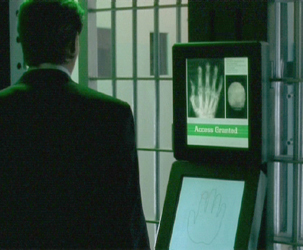 An x-ray scanner was added to the security measures after the shapeshifter they held, escaped. 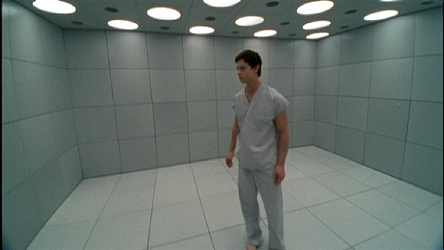 To enter the main part of the building where Max is being held in the White Room, you must go through the scanner. But other than that, the security seems pretty lax. There are roaming patrols of two men, but Michael, Isabel, Tess and Nasedo are able to slip onto the base and into the building without being detected. They get into an area with offices, enter the morgue and get into the boiler room without any trouble. Nasedo claims to know the place well because he escaped from it. until Nasedo, Tess, Isabel and Michael rescue him.